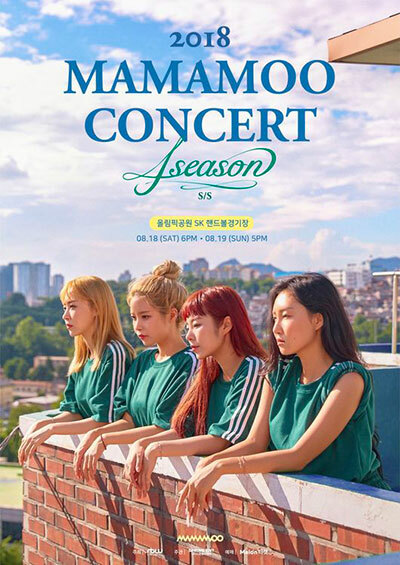 The K-pop girl group Mamamoo will hold concerts in Seoul for two days next month. The concerts come as the group’s new EP “Red Moon” is slated for release next week. Titled “4 Season S/S” the concert will run for two days from August 18 at Olympic Park’s Handball Gymnasium. It is the group’s third concert following their successful concerts in Seoul and Busan last year. The upcoming concerts will focus on the quartet’s vocal prowess and onstage performances.